Obtaining a mortgage loan can be stressful all on its own. You don’t need any unhappy surprises when your lender pulls your credit report! Fortunately, if you adopt a proactive strategy where your credit report is concerned, you can head off any potential landmines and make getting a mortgage loan a great experience. 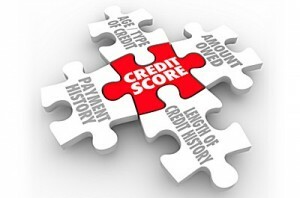 Most people do not monitor their credit report closely enough, and many fail to pull a report prior to visiting a mortgage lender and requesting a loan. If there are any potential issues on your credit report, you’ll want to know ahead of time and be prepared to either fix them or explain them to your lender. Here are ‘Six Smart Tips’ on getting your credit report in shape before you find your dream home and need a loan. Once you have decided you are in the market to purchase a home stop opening new credit cards or taking out new loans. Pay your current credit cards down to 30% or less than their limits. You want to show responsible use of your credit. If you have more than six or so open lines of credit, you may want to close a few of your accounts that you rarely use. It is human nature to hide bad news, but bad strategy to not disclose to your lender. If you are aware of something that is financially negative but did not show up on your credit report, be upfront and honest and let your lender know. Be assured, sooner or later it will show up. This often happens with tax liens or public record items that may not show up on your credit report but will show up in the title company search closer to the close of escrow. Take advantage of offers for free credit reports, get one and review it. If you notice that any negative items are inaccurate, dispute them immediately. This can be done online through the credit bureau websites quickly and easily. Give the dispute process time to work. Also, allow yourself time to pay off collection accounts, minimize any potential pitfalls, and correct any inaccuracies that appear on your credit report. As long as you do not accrue any new negative items, your FICO score will go up and you will be in a much better position to negotiate a home loan. It is important that your credit report shows that you can handle paying a range of debts. Lenders like to see that you can handle installment loans and revolving credit. You need to have at least three lines of credit for two years without a late payment to be in the game. It may seem like a good idea to have high credit limits even if you don’t use them but lenders do not like to see that the potential is there for you to borrow heavily or run up large debts if you should decide to. Keep your credit availability to a minimum, use it responsibly, pay on time and you will be viewed as a good risk by mortgage lenders.